New Bike, and a great deal! I originally started riding a bicycle this year to work and around town. The bike a was a gift, and got me moving. It happened to be a used men’s mountain bike that did the job, but was not the best equipment for commuting. I have been looking at bikes and planned to spend about $300-350 dollars for a good replacement. I had been shopping at a local bike shop and Craigslist hoping for a good deal. Well, I found it for sure. 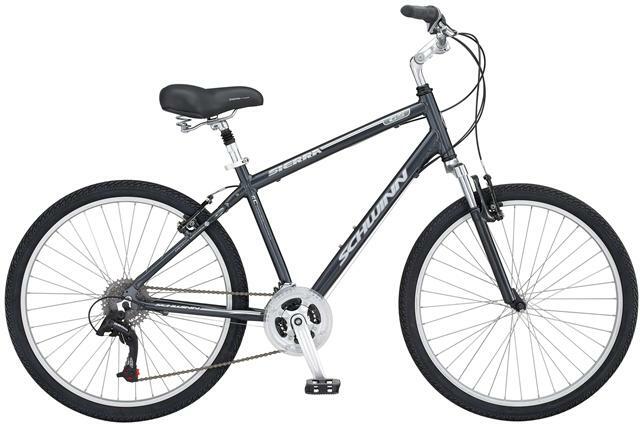 I managed to find a 2009 Schwinn GS path/pavement bike with lock, pump, helmet for $99.00. The customer bought this about 6 months ago, and is leaving the country next week so he needed to get rid of it. Now, it is not perfect and needs a tuneup but regardless this was a great deal. He gave me the receipt and he paid $460.00 for everything. So I am excited to move up on the newer and lighter bike that I use as a commuter bicycle, but save up for that nice road bike. As for the old mountain bike? I plan to somehow pass it on to someone that will use it, and get moving just like I did. This entry was tagged bicycle commuting, bicycles, fitness, Schwinn. Bookmark the permalink.